Connie Ratkiewicz: Great story. I can’t help but read your posts and hear your voice in my head. Why, thank you, Connie. Apparently, this is not uncommon. Many of you have commented that when you read something I’ve written you hear me reading it in your head. 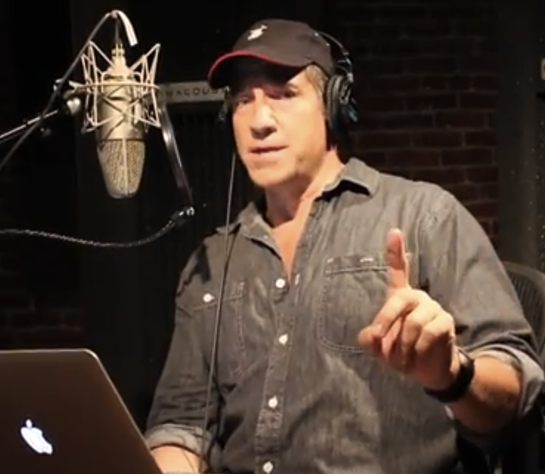 The reasons are obvious — you already know what I sound like, and I narrate stuff for a living. The bigger question — or at least a more self-absorbed one — is what voice I hear when I read YOUR posts. The answer, of course, is my own. But it doesn’t always sound the same.